A resource for the Daily Rhythm of Worship using the Lectionary Readings. See “Weekly Rhythm” below for comment and questions on the readings for small group use or personal reflection. Isaiah 58:1-12. The fast God chooses and honours reflects real change towards justice and mercy in the lives of people and communities. 1 Corinthians 2:1-16. Paul’s proclamation in Corinth was not based on elegant human wisdom, but on spiritual wisdom displayed with power. This week: Our adoration focus comes from the opening verses of Psalm 95. Our confession focus is based on the prayer of an unknown Confederate soldier. You are invited to reflect on this prayer a line at a time and let that thought lead you into confession. By the end of the week we will have moved through the entire prayer. The Word: See readings above or use you own devotional aids. Shared Focus: Pray that our community may be a forgiving community and that this forgiveness may lead to reconciliation. Pray that we may find our example for forgiveness and reconciliation in Christ. Shared Focus: Pray that our community may be a supportive community. Pray that we may take hold of the gift of encouragement with both hands. Pray that God may enable you to encourage someone today. Shared Focus: Pray that our community may be a community of the poor, that even those at the lowest rung of the ladder may be treated like those at the top. Pray that God would abolish favouritism in our midst. Each one is an important part of the body of Christ. Shared Focus: Pray that our community may be a community of hope. Pray that we may hear words of hope and not despair. Pray that we may be a place where those who have lost hope may find it. Pray that our eyes may be open to see Jesus the Light of the World shining in our midst. Shared Focus: Pray that our community may be a community of power, not to laud it over others, or to make our names great, but power to serve and to pour out our lives for many. Shared Focus: Pray that our community may be a community of faith. That we would not just speak words but that our faith would be a biblical faith that walks with God in trust and dares to live by God’s Kingdom values. Dear Lord, forgive us when we do not walk in faith and enable us to walk humbly with our God. Shared Focus: Pray that our community may be a community of worship in Spirit and in truth. That is a community that worships in response to the revelation in Jesus Christ. Holy Spirit, lead us in our worship today. Comments and Questions on the Lectionary Readings. 3) How would you define “your own interests”? (verse 5) Think first in the context of the passage and then in your own life and context. 6) What surprises you about the results? 7) How would you see this passage applying to your lfe? 1) How does this Psalm reinforce the message of Isaiah 58:1-12? 2) What new perspectives does it offer? 3) How would you see the message of this psalm working in the context of real life? 5) What kind of life does Christ model for us? What is the wisdom of God’s Spirit? What has this got to do with the cross? Why can we only enter into this wisdom through the Spirit of God? How do we discern the mind of Christ and live in this wisdom? “What does it mean for salt to remain salty? The form of table salt we know, a chemically synthesized and purified form of sodium chloride, cannot but be salty. It is salt! But that was not how salt was experienced in the time of Jesus or in many places in the world today. Salt then and in many places still today is a mixture of a variety of compounds. The more salts in those compounds (whether sodium or magnesium or whatever! ), the more valuable it was because the saltier it tasted. But the more inert dissoluble compounds in the mix, the more “fillers” we might say, the less salty and the less valuable it was. The blessing, “You are salt” is complemented by the call to remain salty, not to dilute what God’s kingdom is doing with “fillers” from the kingdoms of this world. Bigger is not better. More volume does not equate to better value. Be real. Be authentic—authentic to the one whose kingdom makes us salty! Likewise, with being light, shining God’s righteousness to all, shine that light! In the face of the claims of the kingdoms of this world, there may be serious temptation to hide the light to escape notice. No, Jesus says. Shine! Shine brightly! Go to the highest places and the most threatening people and shine, shine, shine! Being Salt or Light in the world has been described as being a bit of God where you are. What do you like/dislike about this description? How does this call to be salt and light make you feel? 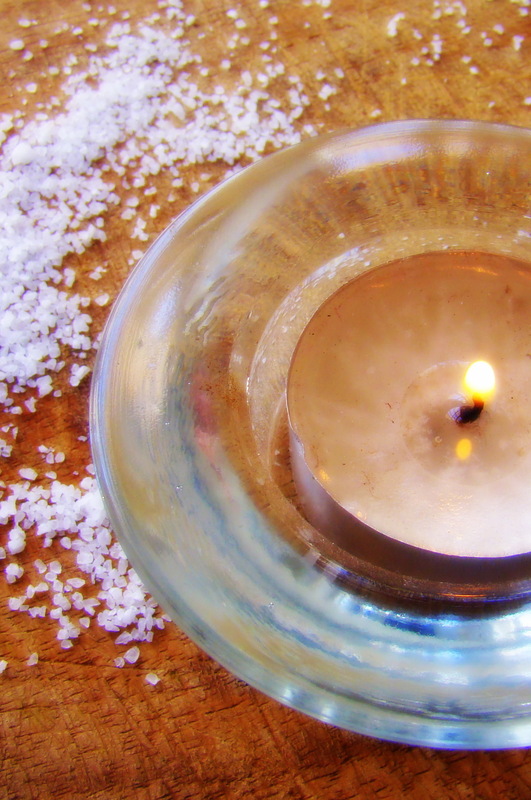 How can we be salt and light? Pray the prayer under the heading: Praying the Lectionary Readings. Thank you that you made us in your image. Help us to reflect your light and your image in this world. Thank you that you made us the light of the world. Help us to never shrink back from who we are. Thank you that we are not meant to be hidden. Strengthen us to live as a city on a hill. May you be pleased with our good deeds offered in response to your grace and may they bring glory to you. Thank you that you have called us the salt of the earth. Help us to be salty. Let us bring out the flavours of righteousness, love, and mercy in this world. Help us to salt the world. Let us lead others to eternal preservation through Christ Jesus. Help us to sting as salt does in a wound. Let us speak the truth in love so that others may come to know the Truth. Mix us into the earth as to salt the fields of a defeated enemy. Let us proclaim that death is defeated by our Lord Jesus Christ! You told us that we are salt and we are light. You told us that we are, not will be these things. So that you may be pleased with us. follow this blog with Bloglovin’ and never miss an update!